Needless to say Sapporo is the largest city in Hokkaido. It has many charming spots to visit, such as the Clock Tower, Odori Park and the avenue of poplars at the University of Hokkaido. 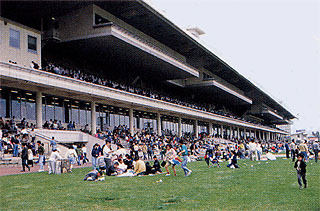 The Sapporo Racecourse is a beautiful venue that harmonizes with this cityscape. 10 minutes from JR Soen Station. 25 minutes from Tozai Subway Line Nijuyonken Station. 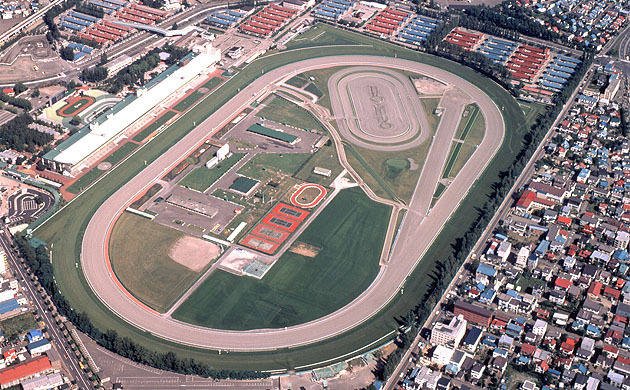 Take the Municipal Bus to Hassamu Shogakko (Hassamu Elementary School) from JR Sapporo Station; get off at the Keibajo Mae bus stop (in front of the racecourse).